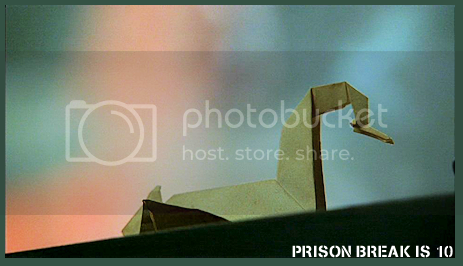 People, on August 29th, Prison Break will be ten years old — and is coming back next year. It's worth celebrating! Challenge #1: Let's look to the past! A lot of fics and fanarts posted in LiveJournal and/or the late prisonbreakfic.net have been lost or locked over the years. Repost as many of yours as you can on AO3, fanfiction.net, Instagram or Tumblr. Go, go, what are you waiting for?! When posting on AO3, Instagram or Tumblr, please use the tag PrisonBreakIs10 so that your works can be easily spotted. I have pimped this over on tumblr and twitter (I'm msgenevieve447 on both) and will think of LJ spaces we could promote it as well. TEN YEARS OMG WE'RE SO OLD. *snorts* I'm rewatching the whole thing and OMG THEY'RE SO YOUNG, especially now that I've jumped back to season 1. Naan, mais s'il s'agit juste de poster des trucs sur AO3, c'est jouable... ;) Honnêtement, je doute fort d'avoir l'inspiration décrire quelque chose de nouveau, par contre. Et si c'est déjà posté, on peut tricher et juste aller ajouter le tag ? Faut pas rêver, ceci étant dit : ce n'est pas une surprise, mais à part une fic de MsGen sur Tumblr, personne n'a rien (re)posté.